This feeding bottle reduces colic by 80% due to it's smart base ventilation system which does not allow your baby to swallow any air while drinking. 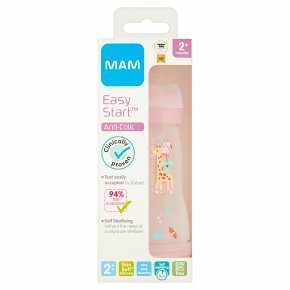 The Mam anti-colic bottle makes babies feel more happy and more relaxed. This Anit-colic bottle is available in 130ml, 160ml and 260ml.